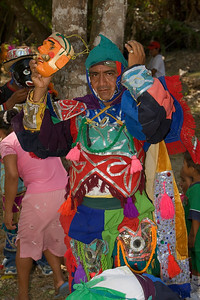 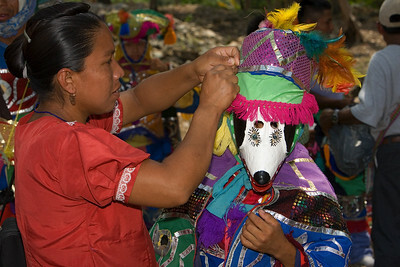 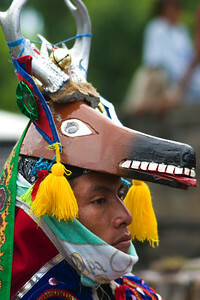 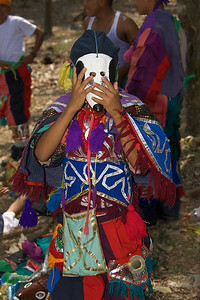 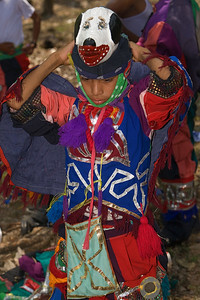 Deer Dance, Performed in the rural areas of, Toledo. 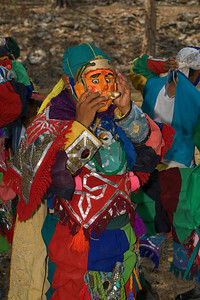 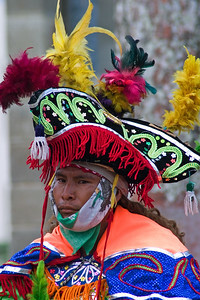 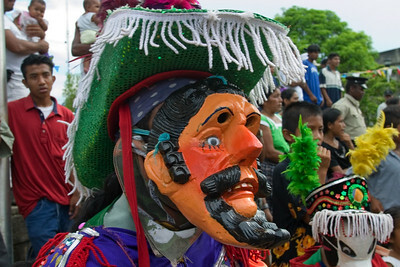 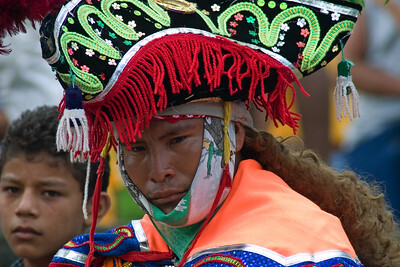 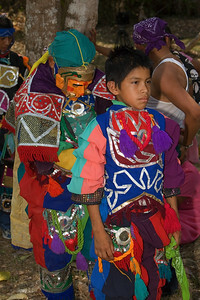 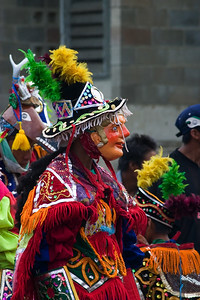 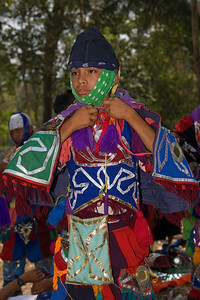 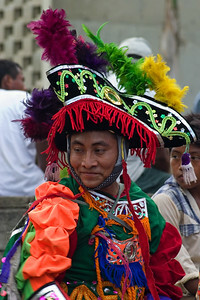 The dance itself is performed by 24 players, dressed in colorful costumes. 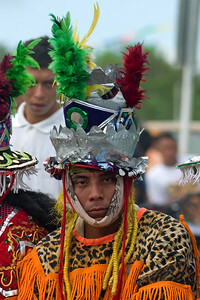 Players include a jaguar (locally called a "tiger"), a joker, a man dressed as an older woman and another dressed as a maiden, a hunter, a pair of dogs, a few soldiers and about six sacred deer. 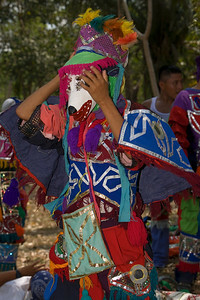 As the act is played out, the jaguar kidnaps the maiden, the hunter pursues the jaguar and the dogs chase the deer while the joker pokes fun at everyone. 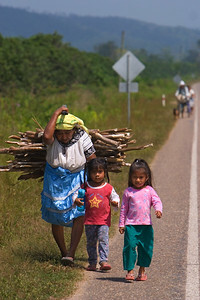 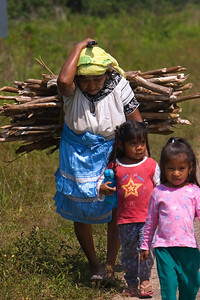 Maya woman carrying firewood with grand children at Maya Center Village in Stann Creek, Belize. 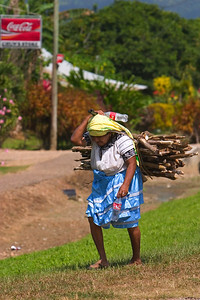 Maya woman carrying firewood, Maya Center, Stann Creek, Belize. 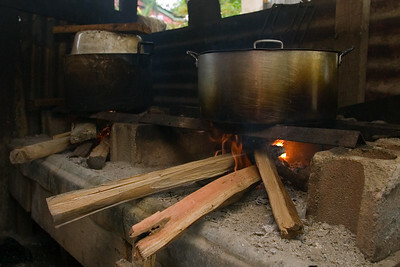 Pot of tamales being boiled on top of fire hearth. 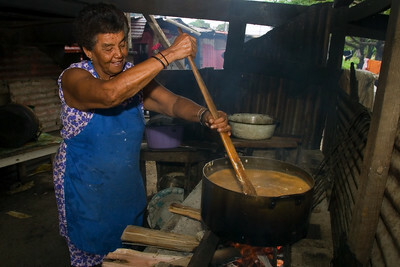 Mestizo woman cooking tamales over fire hearth. 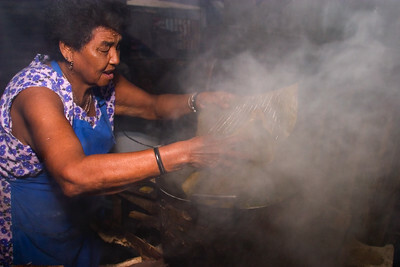 Mestizo woman cooking over fire hearth. 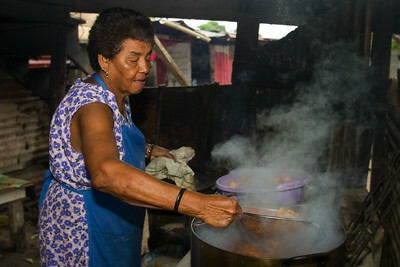 She is removing the chicken which is to be used in the preparation of tamales. 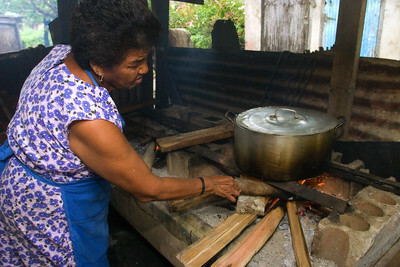 Mestizo and Garifuna woman adding ingredients into pot over open fire hearth. 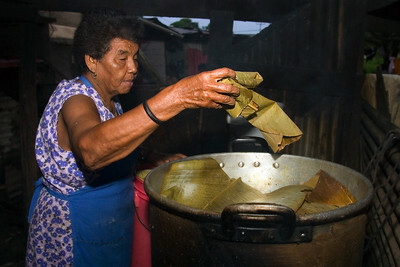 This part of the process is the boling of the "col" which is inside part of the tamales. 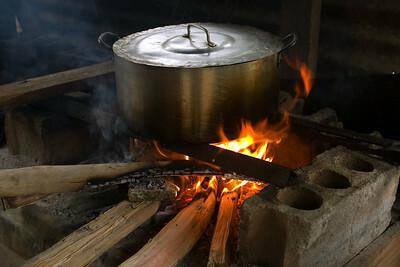 Making "col" over a fire hearth. 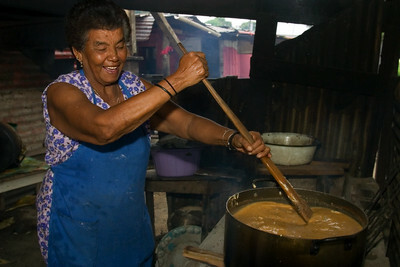 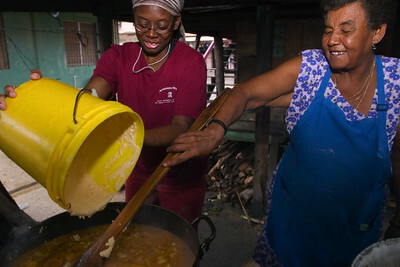 The ingredients are stirred until the "col" becomes thick after which it is used in the making of tamales. 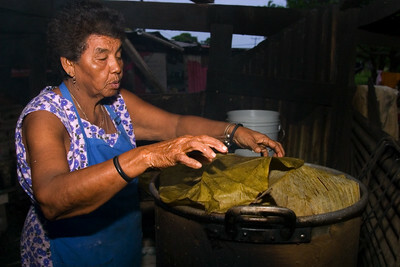 Mestizo woman placing wrapped tamales into pot to be boiled over a fire hearth. 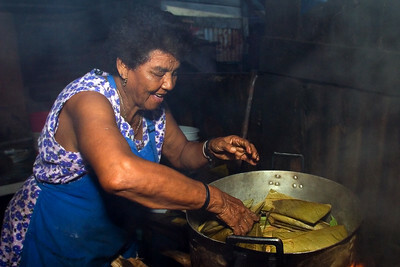 This is the last process in the making of tamales. 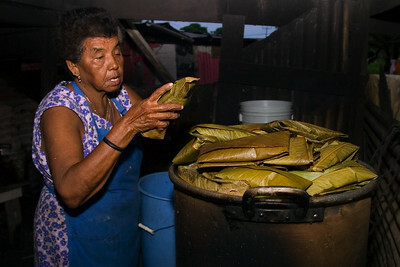 Mestizo woman placing wrapped tamales in pot to be boiled over a fire hearth. 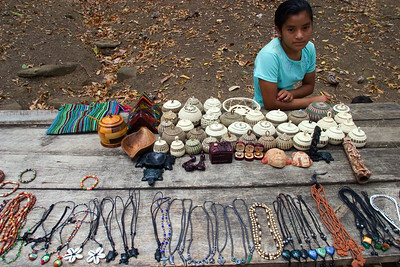 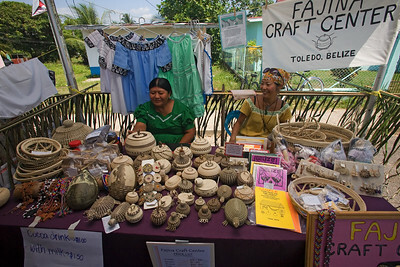 Mayan woman and Japanese volunteer selling clothes and hand made Mayan baskets in booth at Cacao Fest 2008 in Punta Gorda, Toledo, Belize. 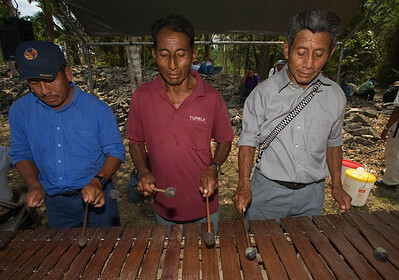 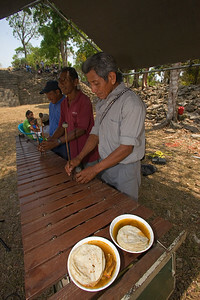 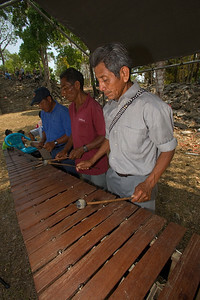 Men playing the marimba in the main plaza at Lubaantun where the Deer Dance is being performed. 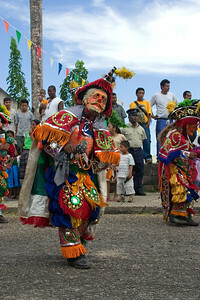 Toledo, Belize.